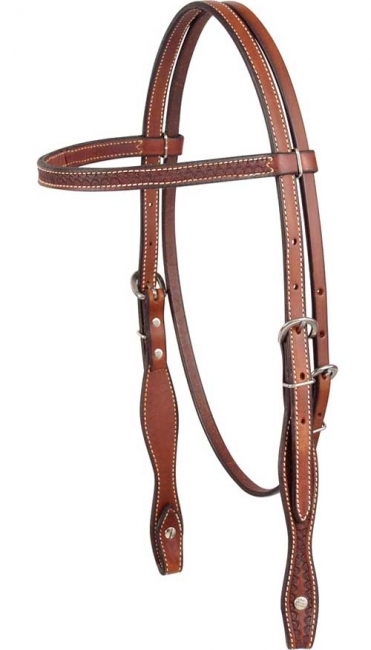 This quality headstall is made from camo bordered chestnut skirting leather. It features chicago screw bit attachment and all stainless steel hardware. This headstall matches the Cashel Trail Blazer Set. Leather with camo border detail.